Less than a year after changing the name of the Joint Interagency Combined Space Operations Center to the National Space Defense Center, the NSDC transitioned to 24/7 operations on January 8, marking a significant step for the expanding, interagency team focused on protecting and defending the nation's critical space assets. Gen. John W. “Jay” Raymond is Commander, Air Force Space Command (Air Forces Strategic-Space) and the Joint Force Space Component Commander, U.S. Strategic Command, Peterson Air Force Base, Colorado. Gen. Jay Raymond, U.S. Strategic Command's Joint Force Space Component Commander and commander of Air Force Space Command, stated that this is a significant milestone, officially transitioning the NSDC from an experiment to a functioning 24/7/365 operations center focused on protecting and defending the space domain. This advancement immediately expands the nation's space situational awareness and bolsters readiness — both of which are absolutely critical to maintaining space superiority. 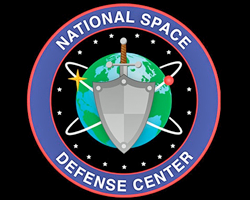 The NSDC is a partnership organization, strongly supported by the Department of Defense and Intelligence Community, that develops and improves U.S. ability to rapidly detect, warn, characterize, attribute and defend against threats to the nation's vital space systems. The NSDC directly supports space defense unity of effort and expands information sharing in space defense operations among the DoD, National Reconnaissance Office (NRO) and other interagency partners. Col. Todd Brost, NSDC director added that this successful transition to round-the-clock operations was the result of the hard work of the entire joint and interagency team. With the growing potential threats to our nation's space capabilities, a warfighting mindset must be adopted to be prepared to defend and protect the assets that provide U.S. joint forces and allied partners the asymmetric advantage from space-based capabilities. Ultimately, this transition will further enhance the ability to protect and defend the space domain, which is so critical to the nation and the Joint Warfighters.